Meeting under the theme "Creating Value through Innovation", more than 1,500 participants from 90 countries will gather on September 10 to 12 in China's Tianjin to focus on how innovation can generate more and better value for all. Innovation and creativity have been the hallmark of Summer Davos meetings since the launch seven years ago. This year, the summit has taken technology to a whole new level. 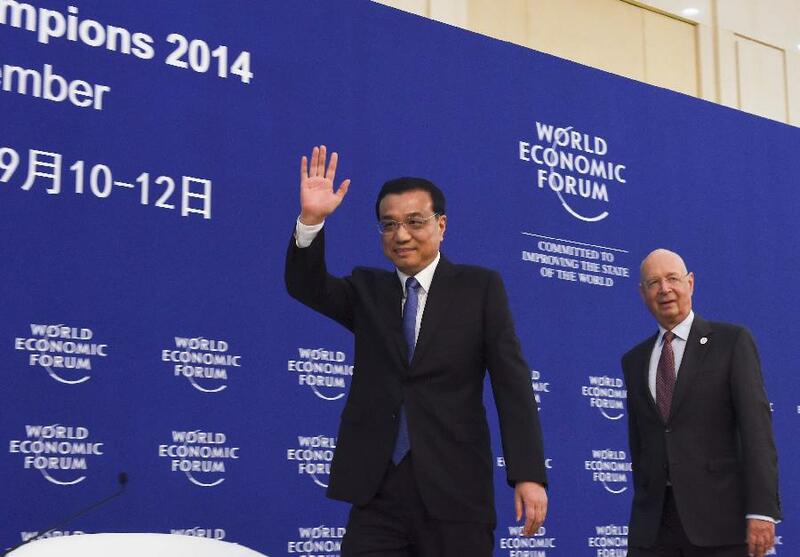 China will carry out reforms and use macroeconomic tools in the next four months to ease downward pressure and ensure the economy can meet its annual growth targets, Premier Li Keqiang said at the World Economic Forum. Economists on the first day of the eighth Annual Meeting of the New Champions in Tianjin struck a relatively upbeat note on China, saying new engines of growth and structural reforms promise to put the economy on a more sustainable path. 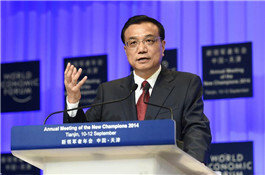 Chinese Premier Li Keqiang on Wednesday delivered a speech at the opening ceremony of the Annual Meeting of the New Champions 2014, also known as the Summer Davos Forum. Chinese Premier Li Keqiang on Wednesday said the government was not distracted by short-term fluctuations and assured the world of more quality-focused growth achieved through deepening reform and encouraging innovation. Premier Li Keqiang on Wednesday said China can meet the major economic goals this year and policymakers will not be distracted by short-term fluctuations of individual indicators. A survey of 31 big- and medium-sized Chinese cities found the unemployment rate remained at around 5 percent in the first eight months of the year, despite an economic slowdown, Premier Li Keqiang said Wednesday. Chinese Premier Li Keqiang on Wednesday said the government was not distracted by the slight short-term fluctuations of individual indicators of China's economy given its new normal state. The Annual Meeting of the New Champions 2014, also known as the Summer Davos forum, opened Wednesday in north China's port city of Tianjin. 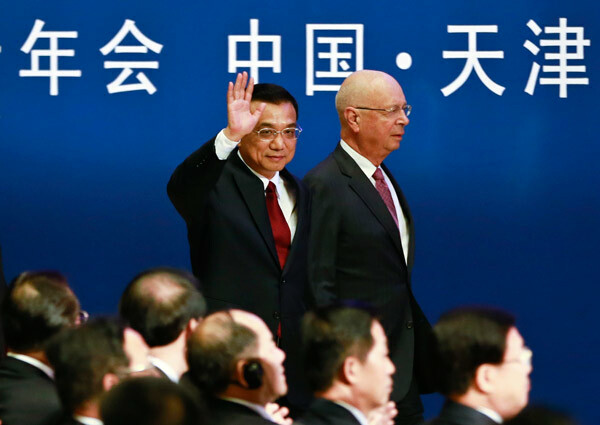 Chinese Premier Li Keqiang reassured global CEOs Tuesday that China would achieve its GDP growth target of about 7.5 percent despite recent fluctuations. Established in 2007 as the foremost global gathering on science, technology, and innovation, the Annual Meeting of the New Champions convenes the next generation of fast-growing enterprises shaping the future of business and society together with leaders from major multinationals as well as government, media, academia and civil society.